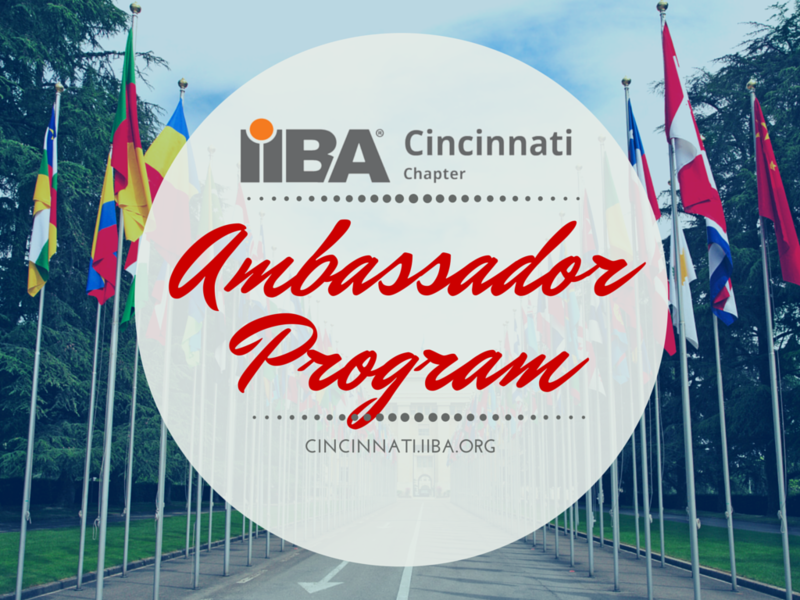 The IIBA Cincinnati Chapter has started an Ambassador Program by speaking to companies about IIBA, IIBA Cincinnati Chapter and Business Analysis as a Profession. We have given several presentations and participated in a Q&A panel with BA resource managers, project managers, and business analysts as attendees. If you would like a similar presentation for your company, non-profit organization, or school group, let us know. We have knowledgeable and passionate business analysts who can answer your questions and show you the value of membership in IIBA.